Alan Moore photographed this family group last Saturday in Fox Gully Bushcare behind houses in O’Grady Street. 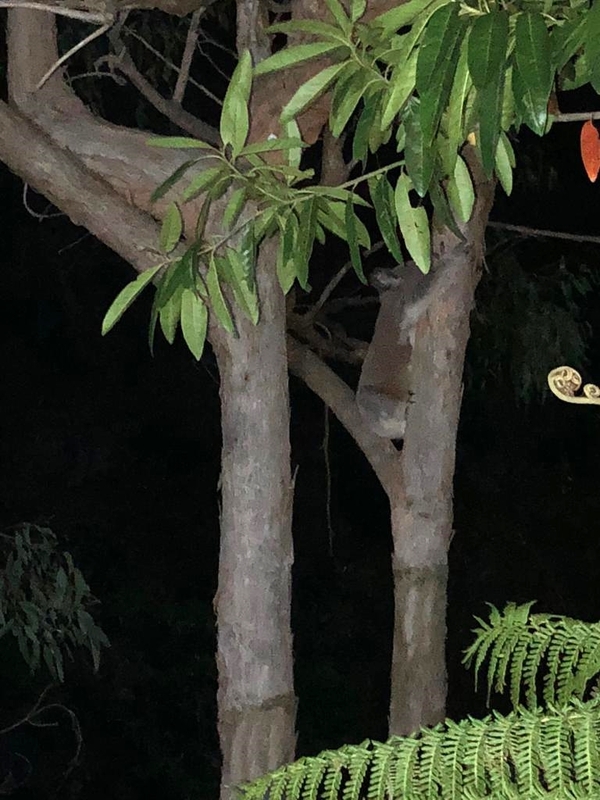 Toni McDonald photographed another Koala last Wednesday in Firefly Gully off Mt Gravatt Road. 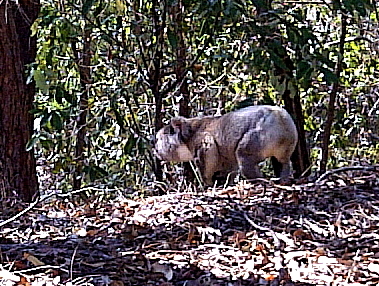 We now have a healthy Koala population in the Reserve and people often ask how many Koalas there are. Until now, other than telling them that we have two or three joeys each year I don’t have any detailed numbers to share. The joint Queensland University of Technology-Brisbane City Council research using heat-seeking drones should provide valuable population information. 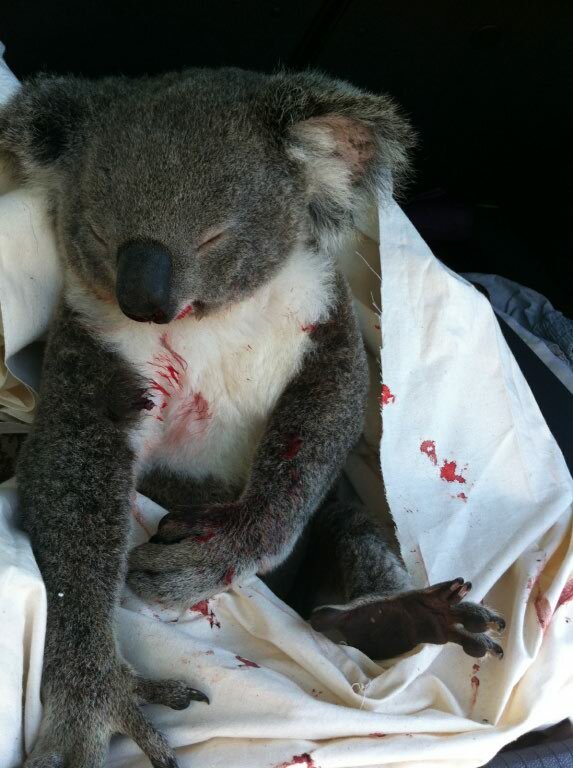 “The car in front hit her and just kept going!” Sam Oberhardt was describing the events witnessed by a motorist who had pulled over to help the female Koala hit by a car on Creek Road Wednesday morning last week. The second driver, Sam and another driver all pulled over the help the injured Koala and waited for the Animal Ambulance sent by Daisy Hill Koala Centre. This beautiful animal touched the hearts of these generous individuals who stopped to help. She sat passively allowing herself to be removed from the road and placed in the car boot and covered to keep warm. Unfortunately the story has a sad end. 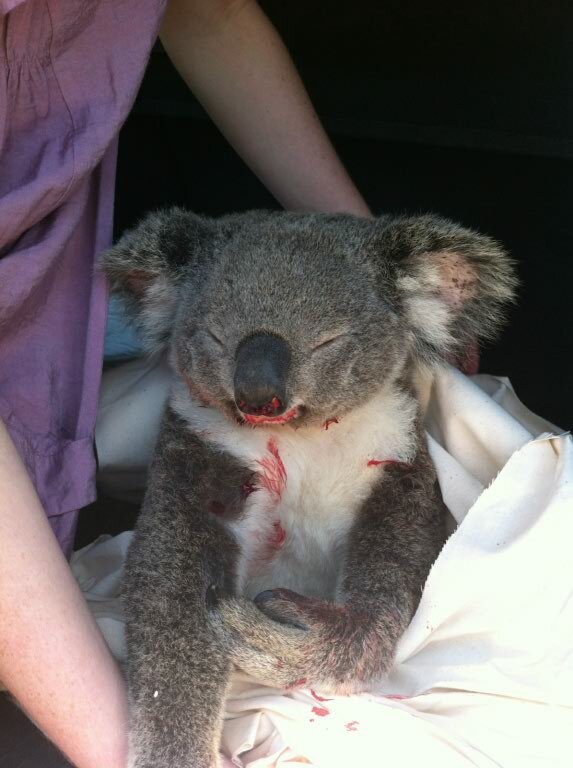 Transferred to Australia Zoo Wildlife Hospital the Koala was found to have a joey in her pouch but with a broken arm and shattered jaw, she and her joey had to be euthanized. August to February is Koala breeding season so they will be on the move and sometimes try to cross busy roads. Swerving or stopping suddenly to avoid an animal is not recommend as that may cause a much worse accident. However, if our car does hit an animal we can all take the time to at least stop and remove the injured animal to safety. Sometimes that is enough as a stunned animal may recover by itself if is safe from being hit by another car. Seeing Koalas on your walk to work or crossing our suburban roads is a something special. These iconic animals are returning to our suburbs. 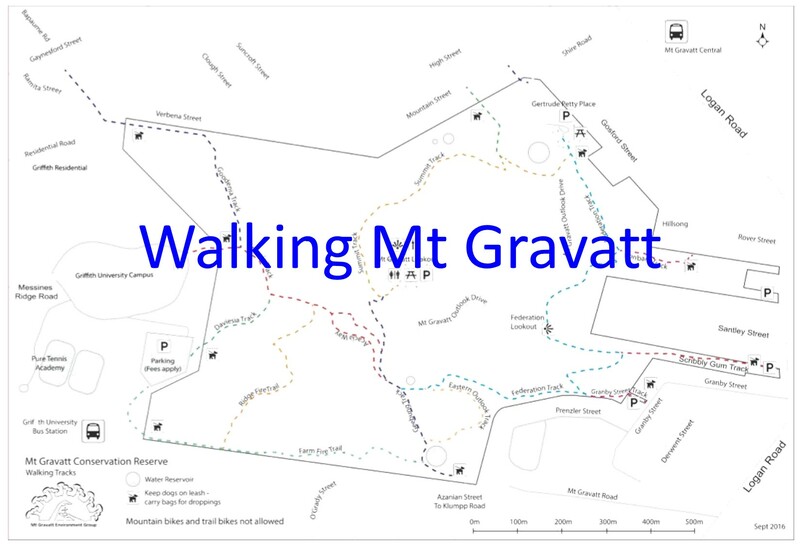 Visit Koala Tracker to report any sightings.